Common areas of the home prone to termite attack and prevention tips. Termite treatment, protection and control methods. When our pest controllers conduct a visual termite inspection we are not only just looking for active termites within the property we are also inspecting and reporting any areas that are conducive for termite attack which could bring termites into the areas and dramatically increase the risk of termites attacking your property there are a number of things we are keeping an eye for here are some conducive conditions we recently found during an visual termite inspection. 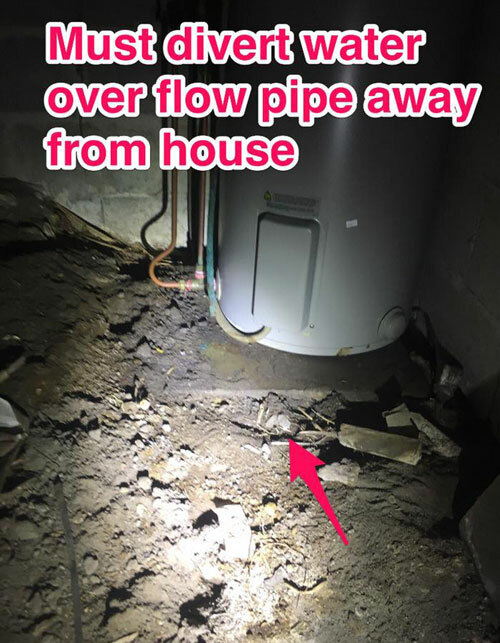 This is the hot water overflow from systems like hot water systems, air conditioning units if these are not connected to drainage and are attached close to house and constantly dripping in to soil near the house or in sub-floor can attract termites to the area due to the excess moisture it created. This must be redirected to a drain by a licensed plumber or a container placed underneath and emptied every now and then. Physically remove all form work timber as well as removal or any loose timbers from sub-floor area. This is where soil is bridging areas or your home from either the slab edge or in this case the wall sheeting this gives termites a clear undetected entry point into your home with out you even noticing they are there until it is to late. 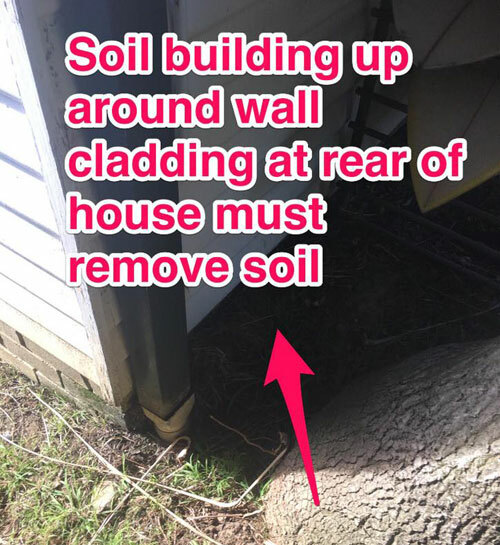 Remove soil away from the slab Edge or exterior wall sheeting so there is a clear inspection zone so termite can’t gain access undetected and will have to show themselves. MORE INFORMATION : These are just a couple of examples of the common conducive areas for termites attack we see on a daily basis by rectifying these conducive areas you can greatly reduce the risk of termite attack to your home. For more information about preventing termite attack on your home or workplace, call or text our expert pest controller David Wright on 0477 688 496 for advice. FURTHER READING : Scroll down for more helpful articles about what you can do to protect your property from termite attack and infestation. Plus termite treatment and control methods. Termite treatments and pest inspections. If you have any questions about removing termites and white ants from your home or business premises, contact the team at Clean and Green Pest Management for obligation free advice. We are your local Northern Beaches pest inspectors specialising in both traditional and the green pest control methods that are safe for your family and pets. Our licensed termite controllers can advise you on the safest and most sustainable ways to control and eradicate termites from your property. 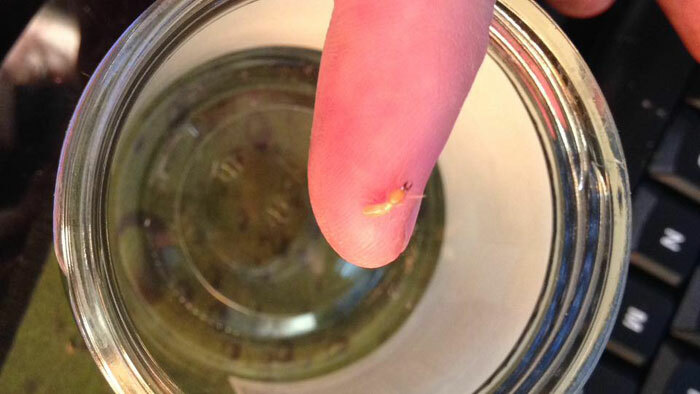 More white ant & termite treatment, protection and control tips.